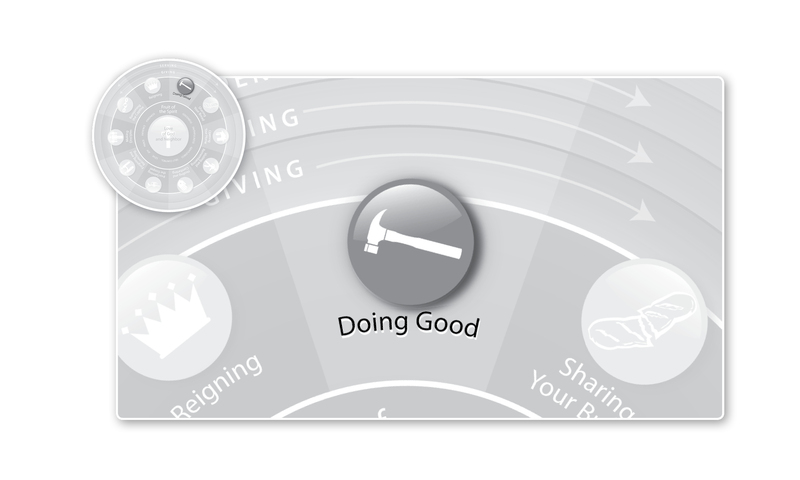 ← Why Do Christians Do Good? So the focus of Matthew 5:43-45 isn’t us, it’s God. Jesus is showing us that God is present and active any time we are having a conflict with an enemy. Quite often we fail to see this. An enemy just hurt me. I want to hurt them back. But I am a Christian, so I am supposed to do good to them. I will bake my enemy a cake. But this kind of thinking reduces God to merely an inspiration. That is, we don’t think of God as present in the conflict except as a voice in our heads saying, “You better love your enemy. That’s what I did.” So in a conflict situation we (mistakenly) believe that the two main people involved are us and our enemy. And we (mistakenly) think that it is our job in this situation to love our enemy. But God wants us to see the situation differently. He wants us to see that every time an enemy hurts us, he is present. Not only is he present, but we can trust him. We know that he loves us. He hasn’t abandoned us. Imagine that you are a very young child. You are going somewhere with your mother or father. An enemy comes up and hits you. Even if your parents aren’t very good, if you are a very young child you will probably react by looking up at your mother or father and saying, “Mom! Dad! He just hit me!” And you will trust that your parent will step in and fix the situation. Now, imagine that you have a very good parent who always takes care of you (I hope this is not just imagination anymore!). What if you got hit and they did not step in and fix the situation? This is exactly what Jesus is trying to show us about himself and our heavenly father. They are present every time we get hurt. In our next post, we’ll find out why that should change our approach to our enemies. How might the knowledge of how God is present when you are hurt change the way you think about your enemies? This entry was posted in Uncategorized and tagged Christianity, Discipleship, Doing Good, Good Works, Jesus, Love, Revenge, Whole Life Offering. Bookmark the permalink.